Calle Ocho: Where to stay and what to eat. Every year, the streets of Little Havana come alive with music and food to celebrate the Hispanic version of Mardi Gras. Carnaval Miami celebrations start in February, with multiple social events such as the Miss Carnaval Miami pageant, numerous cooking competitions, and golf tournaments. The main event remains the Calle Ocho Festival, scheduled to take place on March 15, 2015. This all-day musical event encompasses every block in Little Havana from 8th through 27th Ave. If your group is planning to take part in the celebration or you have taken a spot as a vendor, then the time to book your hotel accommodations is now. We love the Riviera Hotel & Suites South Beach, Hotel Urbano on Brickell Ave, Best Western Plus on the Bay, and Sonesta Bayfront Hotel Coconut Grove. Little Havana can be crowded, and traffic patterns can be challenging on the day of the festival and the days prior to the event. It is best to stay a little distance away and catch a cab to the festival area. During this free all-day activity, finding a good bite to eat will be the least of your concerns. 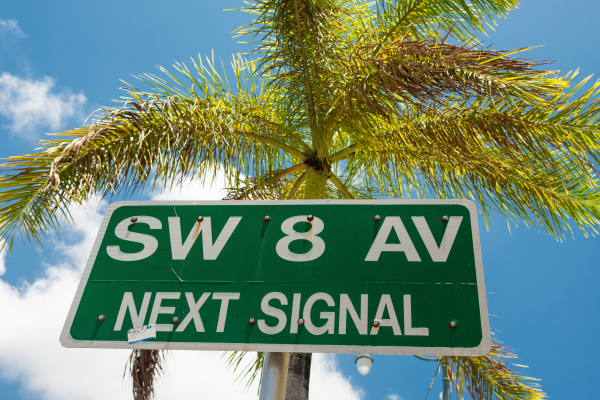 Little Havana is known to have some of the best and most affordable restaurants in Miami. Many will have outdoor stands with excellent street food and Cuban cuisine. Bring cash and consider eating light if you plan to stay all day long. Whether you are arriving from Central or South America or you are traveling domestically, plan on arriving on the Friday prior to the festival and departing on Monday. Booking your airfare in advance is essential to securing the best prices for your group, as hotel rates just like airline fares may be much higher closer to the start of the event. Give our Miami group-travel agents a ring. They are ready to help you pick the best Miami group hotels with the best prices for this popular weekend.